What To Wear? Long sleeves in the summer. Some women have to wear long sleeve blouses during the hotter months of the year for several reasons. It could be their jobs, religious beliefs, skin issues or just a generational thing. Whatever it may be, you don’t have to feel uncomfortable or not look chic with the abundance of styles and fabrics to choose from. Wear natural fabrics such as linen, cotton and also wool. Light wool, like merino which regulates the body temperature, transfers heat away from the body to give you a cooling effect. There are also modern techniques in fabrics, a popular one that wicks away moisture involves the weaving of synthetic fabrics which forces moisture through the gaps in the weave. Now that you have options in fabrics, use the tips below when searching for long sleeve blouses that are sure to help you maintain your cool, or at least look like you are. Tip 1: Approach shopping for long sleeve blouses the way some men do for their shirts during the summer. White and lighter colors are always better than black and its dark cousins during a heat wave. 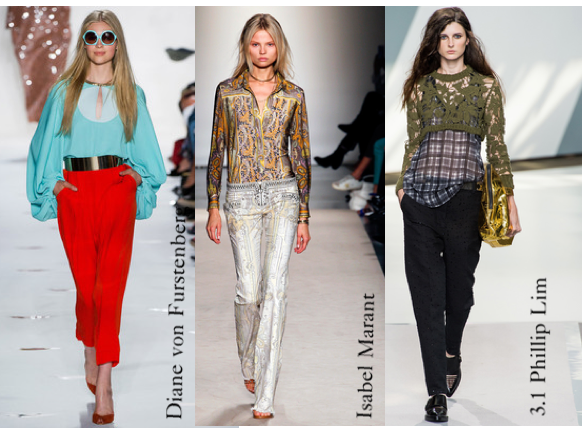 Tip 2: Printed blouses allows you to wear very light or close to sheer fabrics without being too revealing or inappropriate. At the same time, prints are a good way to hide sweating moments. Tip 3: Mesh inserts can be cooling vents and a creative twist on a classic long sleeve top, but camisole should be worn underneath. Tip 4: Lace yourself with as much lace as possible. It’s the breezy fabric that keeps you looking regal. Tip 5: Long-sleeve blouses with dropped armholes will help you avoid those embarrassing underarm sweat marks. Batwing sleeves are perfect examples. Deals Galore: Holiday Must Haves. Hubba Hubba Fashion: Art Deco Gucci Way.